It varies from year to year and some sellers register at the last minute so we can't list them here, but there are always stalls selling car parts, equipment and accessories. Stands, groaning with all kinds of vintage and classic motoring ephemera - motoring parts, accessories, automobilia, literature, tools and clothing, there is something for everyone and lots of bargains to be had. 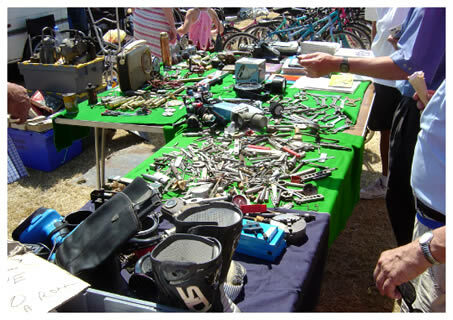 We not only have Autojumble but many arts, crafts and antique stalls. Come along and grab a bargain, and we mustn't forget the clothes and food stalls too.